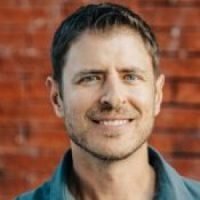 After 14 years of marketing at digital agencies and client-side, in 2012 Jonathan launched Grounds for Promotion, a digital marketing agency out of Boulder, Colorado. Grounds for Promotion specializes in online advertising including SEM/PPC, Facebook, LinkedIn, display, and SEO. Clients include Life Time Events, USA Swimming, and Hero DVO, and great local agencies. Jonathan and his team love helping clients do as much as possible with their budget.